Within Teamwork Projects, you can manage the categories you use for your messages, files, notebooks and links on your projects. 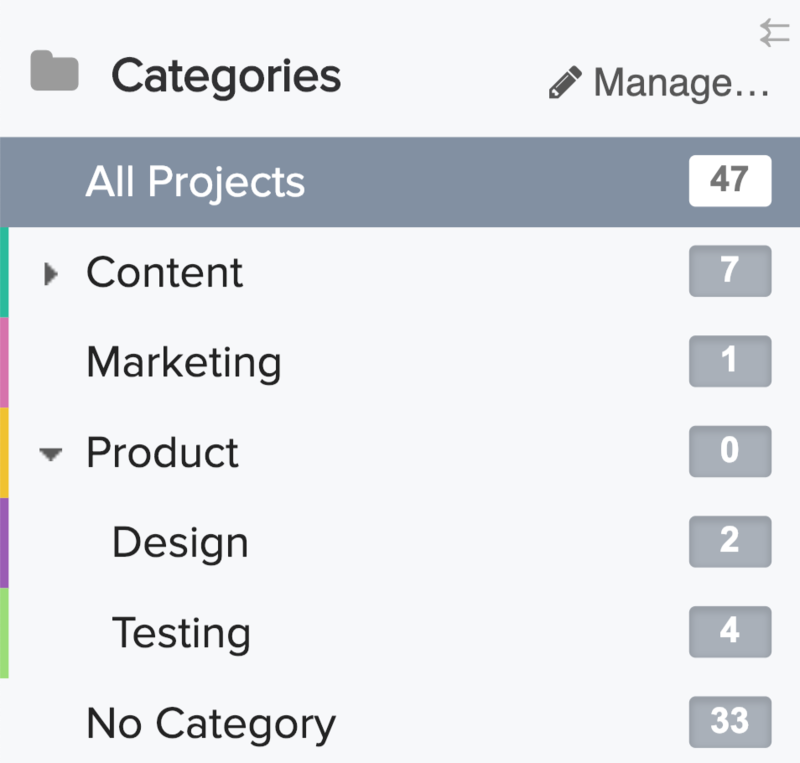 In your projects, you can use categories for messages, files, notebooks and links. You can use different categories in each of these areas in your project - you don't need to have the same categories for files as you do for messages. Note: An item can only be in one category at any time. In each area where you can use categories, you will see them listed in a panel on the left. If you have the appropriate permissions, when you hover over the panel, you will see a link to Manage. 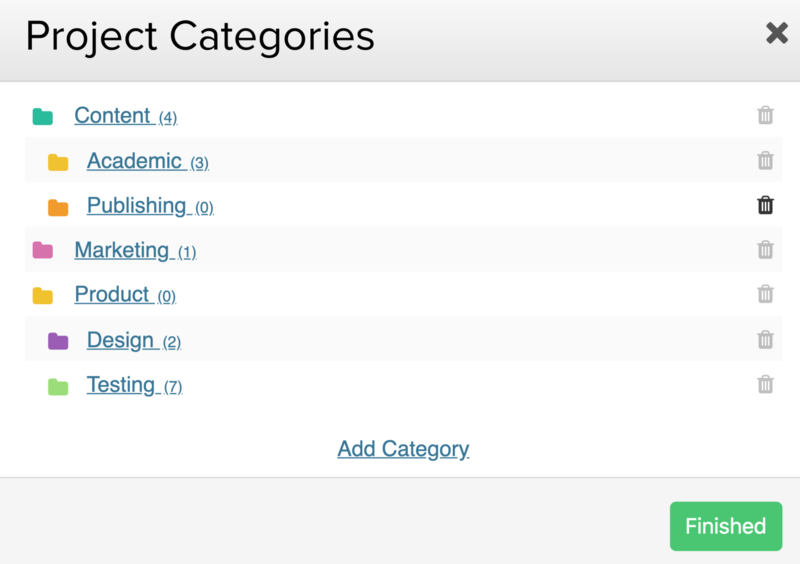 When you click Manage, you will be able to view, add, edit or delete categories. You will see an option to add a new category at the bottom of the modal. 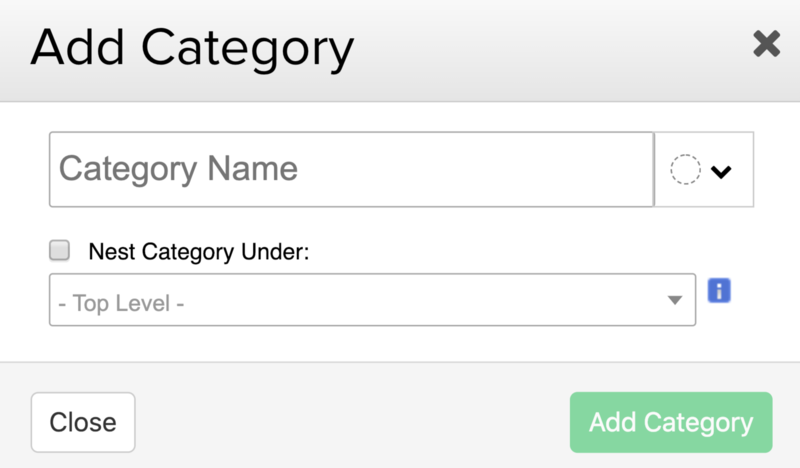 You can choose a name and select whether it should be a top level category, or a sub-category under another one. To delete a category, click the trash can icon to the right of the category name. Note: Categories can only be deleted when they have no project items. If a parent category is empty, but a sub category has items, the parent cannot be deleted. Click on an existing category's name to bring up the Edit Category modal. Here, you can edit the category name, as well as select a category color. You can also move the category so that it is a sub-category of another. 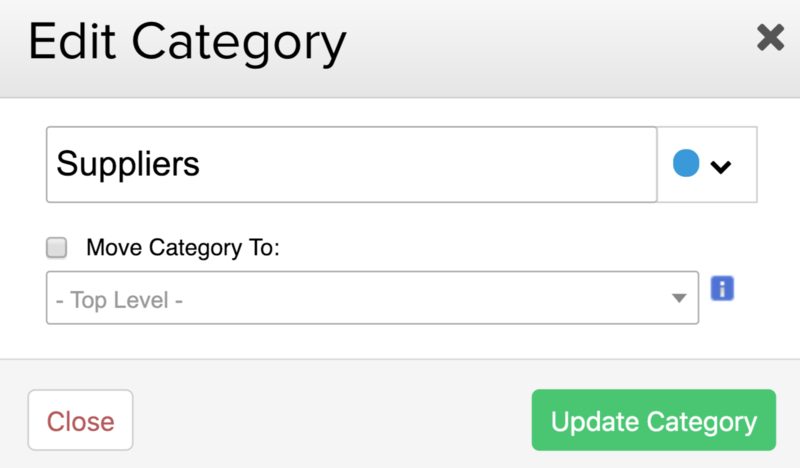 You can create up to three levels for a category. Note: Each category and sub category is treated independently. If a project is added to a sub-category, it will not be included in the parent category project count.